It'll be a much different scene. 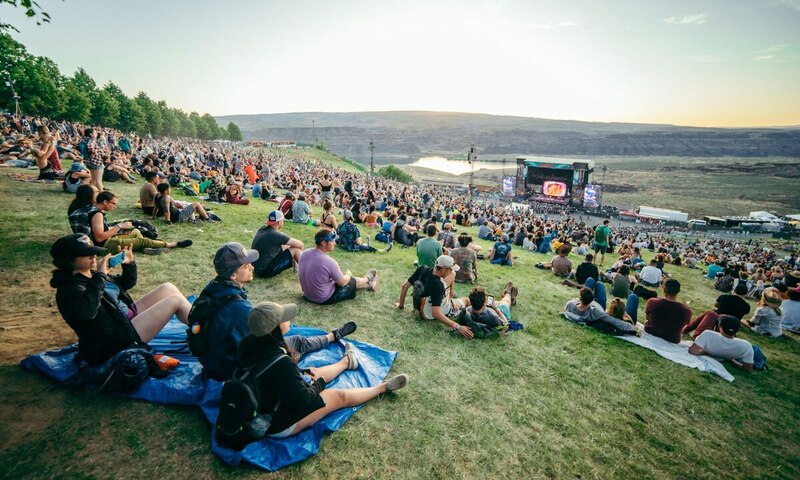 Every year since 2002, the Sasquatch Music Festival kicked off festival season from Washington's scenic Gorge Amphitheater. But last year, the festival announced it was calling it quits. Thankfully for Pacific Northwest festies, a successor has already arisen—End of the Rainbow, a LiveNation-produced festival that, like Sasquatch, will take place at the Gorge Amphitheater over Memorial Day Weekend. End of the Rainbow released its preliminary lineup today, and so far, it seems like the scene will be a different one from Sasquatch's, which leaned on dad-rock heavy hitters toward the end of its lifespan. 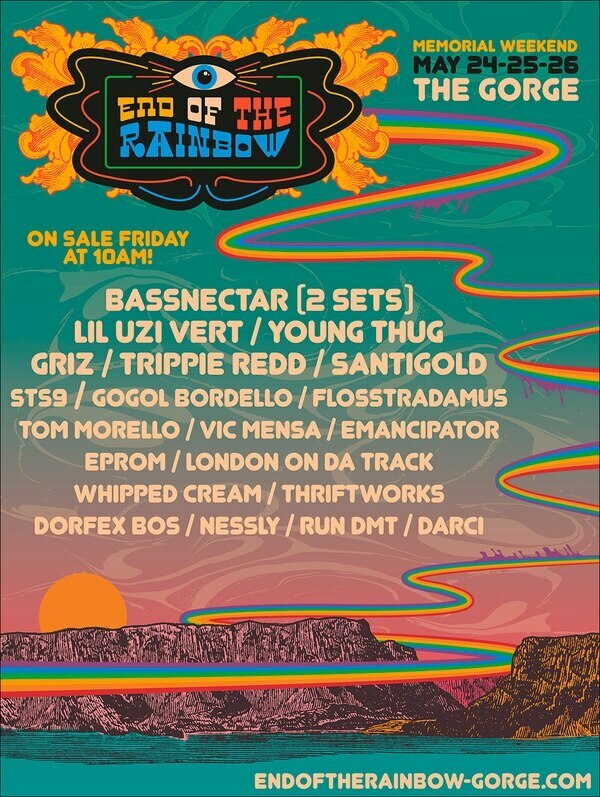 Instead, End of the Rainbow's lineup is mostly comprised of EDM DJs and viral Soundcloud rappers. This year's headliner is dubstep overlord Bassnectar. Genre-hopping R&B singer Santigold is high up on the bill, and so are emo trap-rappers Lil Uzi Vert and Trippie Redd, plus Young Thug. Self-described "gypsy punk" purveyors Gogol Bordello are maybe the closest link to Sasquatch's indie-rock past, though they hardly tilt the lineup away from its all-out-rager intentions. And Rage Against the Machine's Tom Morello will also be there, for some reason. End of the Rainbow will take place May 24-26. Tickets go on sale Friday, Feb. 15.